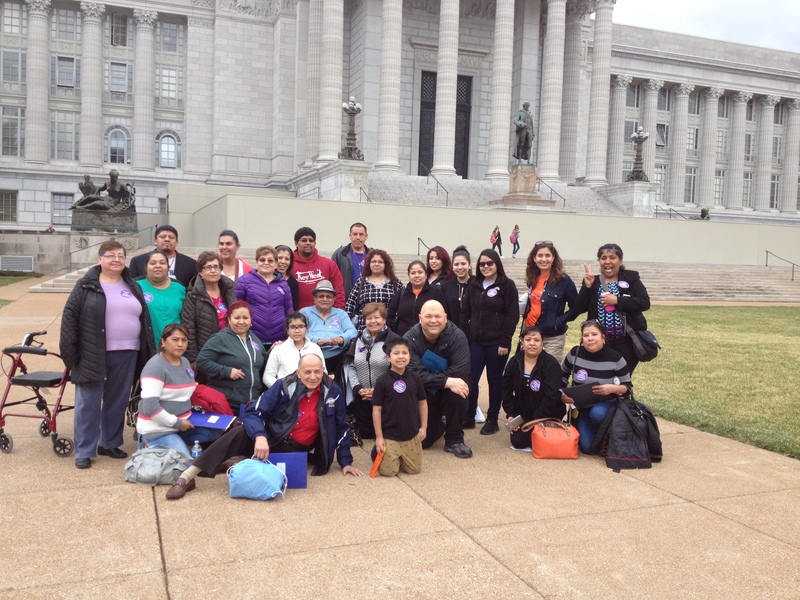 Missouri Immigrant and Refugee Advocates had their MIRA Advocacy Day 2016 on March 9th. 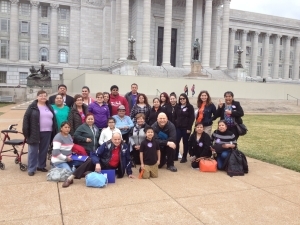 It was great to see the turnout of Precious Blood folks coming to do social justice lobbying for the good of immigrants and refugees. There was a nice mix of both C.PP.S. 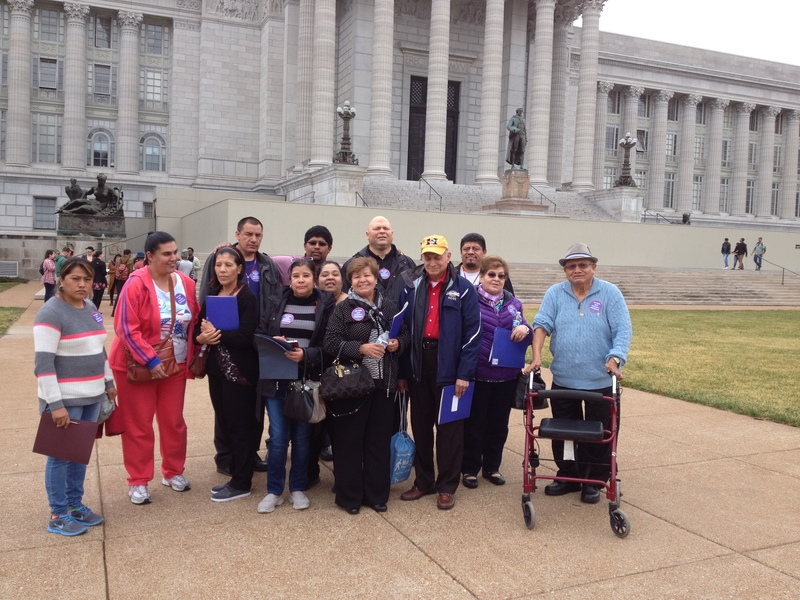 Sisters from O’Fallon and Precious Blood Companions from the KC Province. The MIRA leadership team leading the day said they were grateful for the 80 people who were present to advocate. One of the highlights of the day for me was our Precious Blood Staff employee, Juan Martinez, sharing his story. 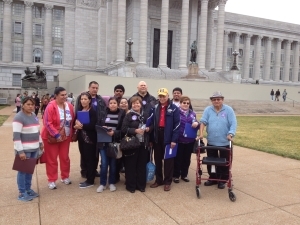 He shared his story of maltreatment and discrimination by the Belton, MO. Law Enforcement with Representative Nick King, who represents the Liberty district. 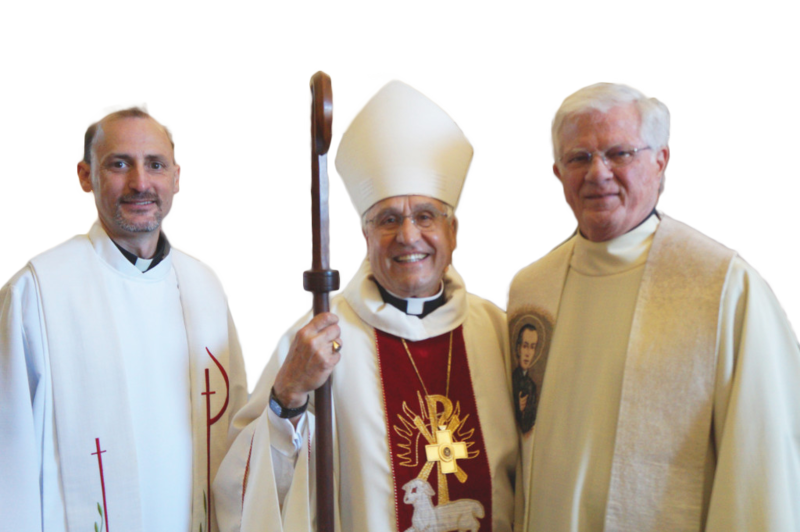 Rep. King then reassured the fifteen of us from Sacred Heart/Guadalupe Parish that if any such discrimination happens to someone we know while in his district to please call him to speak on our behalf for justice. He was very welcoming of us and genuinely concerned about racial profiling and unjust police actions of discrimination. This reassurance offered us by Rep. King gave us hope that immigrant legislation like HB 2273 & SB 976 will someday get passed. These bills are entitled “Fair and Impartial Policing Act.” They have four components: Prohibits anyone employed by a law enforcement agency from engaging in biased policing, Requires police-community accountability, Calls for police departments to end racial profiling, Makes available the profiling data collected by the state to hold officers and departments accountable. Please pray that this legislation passes this year.